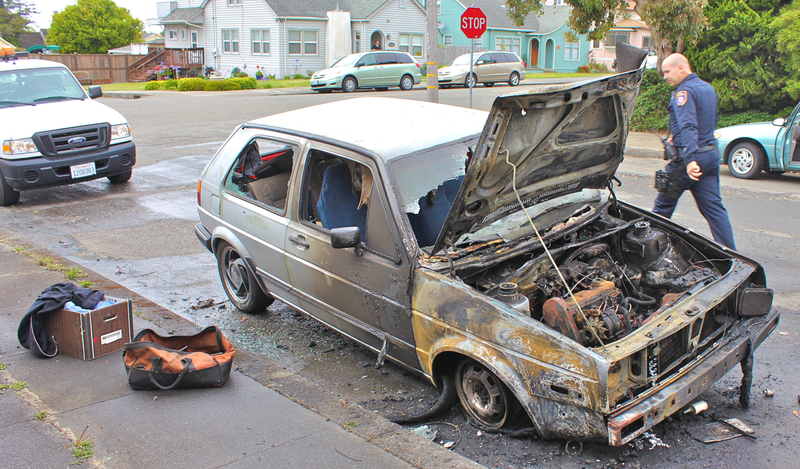 Humboldt Bay Fire responded to a call of a car on fire on Long Street between E and D streets this afternoon. The fire is out. The car is toast.